Were you one of the 800 who received a letter? In what seems a futile exercise in pointing the finger at alleged illegal downloaders, Virgin Media has so far sent out just 800 letters to customers warning them that their browsing habits could be illegal. The letters, deemed by the company to be "educational", are being sent to users in conjunction with the British Phonographic Industry (BPI), the body that represents the UK record industry. While 800 people seems like a small and rather pointless number to send warnings out to, the BPI believes that thousands more will be sent out in the coming weeks. This is part of a 10-week campaign that's been put in place to highlight the illegalities of downloading music for free. 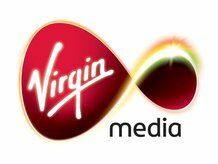 Speaking to the BBC, Virgin Media has said that this is a mistake, and that the envelopes would be reviewed mid-August. This 'mistake' comes after Virgin Media was criticised yesterday about the wording in one of its advertising campaigns. Something tells us the company needs to employ a sub-editor and fast. Although the BPI wants all ISPs to sign up to the campaign, only Virgin Media has so far signed up. So, if you are worried about the stance that Virgin Media is taking on this, here's our choice of four other ISPs currently not taking part in the BPI crackdown: AOL Broadband, Tiscali, Orange and Sky. BT would have made that list last week, but no longer, following recent reports that they are also issuing stern warning letters to some heavy downloading customers.